If you’ve played any of Treyarch’s Call of Duty games the past few years, then no doubt you’ve most likely played on Nuketown — possibly the most famous multiplayer map in the franchise’s storied history. For those wondering, it seems Nuketown will once again be coming back in Call of Duty: Black Ops 3! This little nugget of info has been leaked by non-other than the official Brazil PlayStation Store, which cites the map as a pre-order bonus. In addition to being renamed “Nuk3town,” the map is said to have been redesigned to accommodate Black Ops 3’s new movement system. Get the bonus NUK3TOWN map. This map, which is among the fan favorites, was completely redesigned to highlight the new chained motion system based on momentum of Treyarch, providing battles full of adrenaline. 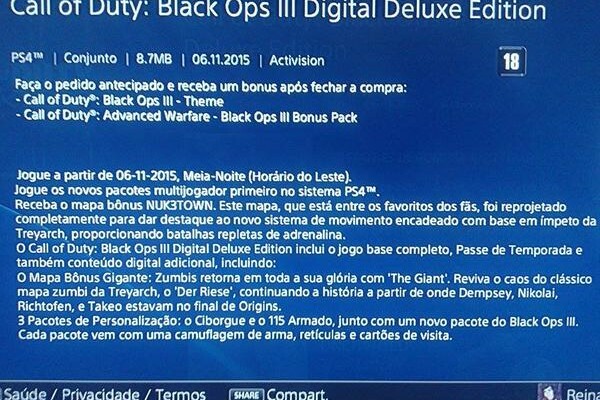 The Brazil PlayStation Store has since yanked the store listing and evidence of the Black Ops 3 Nuketown confirmation as of press time. While we’re tagging this as a “report” for now, it seems highly likely that Nuke3town is indeed coming to Black Ops 3. While not an outright confirmation, Vonderhaar’s tweet heavily suggests that Nuketown being playable map in Black Ops 3 is something that’s on the table even back then. We’ve reached out to Activision and will update the story once we’ve gotten an official statement on the matter. For those who’ve played the Black Ops 3 beta, how do you think Nuketown will work with the new Specialist abilities and new movement system? Do you even want the map to come back at all?